Discussion in 'Standup Technique' started by Paperclip_90, Apr 2, 2008. So I've been training boxing on-and-off for a while and my trainer informed of of this Anniversary thing they have at our gym where they hold a few amateur fights and he asks me whether or not I'm interested, to which of course I answer yes. I'm supposed to start full sparring now (yes, until now I've only hit bags, balls and mitts). I do have a general knowledge of how to strike (I watch a hellova lot of MMA, and boxing occassionally). I'm pretty sure I have a lot of power for my weight class, but my endurance is a bit shady (I get tired after 3 3minute rounds of mitts). My footwork and evasion are decent but not special. My technique is also decent, but then again, probably nothing special. I'm 5'6.5 at 130 pounds. So my question is, what style of boxing should someone like me use, so that I could base my fighting on that and further improve it as I get used to sparring. Should I just use my power and brawl? counterpunch? Stay on the outside? Is going for that knockout punch immediately a good idea with the headgear and all? btw, I'm using boxing as a base to hopefully move to MMA. Most of all, circle your opponent. Don't stand in one spot. Be a moving target. Jab ALOT. Remember to throw combos and not just jabs. Oh, and don't forget to breath. My first sparring session was too hectic for me to think about what I should be doing. It was more just trying to not get beat up. You'll figure out what you need to try to implement as you get more used to sparring. That's what it is for, to learn and improve yourself. I say just jump in there and figure it out as you go. As a side point, why is it that everyone who trains sporadically and who asks questions on the net has good/great power in their punches/kicks? Are there no average punchers/kickers on the internet? It seems there are alot of folks with dynamite out there, and I wonder why I meet very few of them in and out of boxing and kickboxing gyms for the past 10+years? Truth. Keep in mind the basics. Thats all you can do. I'm not bragging or anything, just repeating what my trainer says. The questions are for the actual Amateur bout itself and not just the sparring sessions. I'm have a lot more experience with rolling and I'm used to getting the theories first then applying them actual sparring. Maybe you are, but I read it SO much on the internet. I wonder why I never run into all these brick handed monsters. If you spaz out and swing with power or try to hurt someone expect to be quickly and decisively knocked out - remember this is not their first camping trip cowboy. Relax and keep your hands up. Work on throwing good clean technique. Don't worry about getting hurt and try not to think too much. 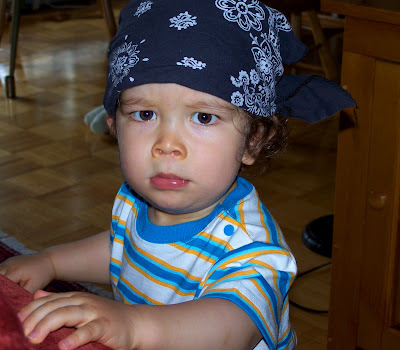 Tough guys: The internets are full of them! you should always be sparring. That's what amatuer fights are; lots of pitty patty shots. all i can really say is feel yourself out during sparring, see what you want to do. You haven't really given us deep detail because you dont know yet, you need to get in there first, find what you like and adjust your training to the way you fight. if your an outside fighter who takes it into the later rounds, you work cardio a lot, footwork a lot, on the mits your jab is going to outpunch your other punches by A LOT! if your a brawler you work on getting inside, having a good defense, throwing good clean power shots and getting in and out and then back in at the right time. on the mits you throw... hard for all the rounds you go for. Got it over with earlier today. Did some light mitts because the I arrived at the gym a little early. The guy i was supposed to spar with didnt show up so I had to fight one of the trainers there in my weight class. All in all, I think I did decently. We did I tried to circle away from his power hand at first, but that didn't do me any good. I seem to have most success at jab range and very close quarters. Generally most of my clean hits are from 2 or 3 jabs, straight, going crazy when he covers up, slipping away when he starts to counter. I hardly landed any hooks and uppercuts cleanly mainly because I have yet to work out the range to throw them in. My defense was pretty good as I leaned my head out of range for most of his jabs. The most important thing was that it was fun as hell. That's what's gonna keep me training and getting better. I seemed to give everyone a laugh when I went for a crazy superman punch that managed to land and push him back a bit. Anyway, thanks for all of your advice. The most important thing was that it was fun as hell. Then you did it right. Good job. My coach says, if you aren't having fun sparring, you are doing it wrong.